When the kitchen becomes synonymous with elegance! Multi-colored or solid the high quality kitchen linen of Les Toiles du Soleil add that exquisite decorative touch to your kitchen. With our retro yet chic kitchen linen sets it is now easy to add a refreshing stroke from the French countryside to your kitchen deco with the click of a button. So, visit today Les Toiles du Soleil for your kitchen linen online shopping, browse our products through our e-shop, select the fabrics of your choice online and purchase your quality kitchen linen from one of the best manufacturers in France. 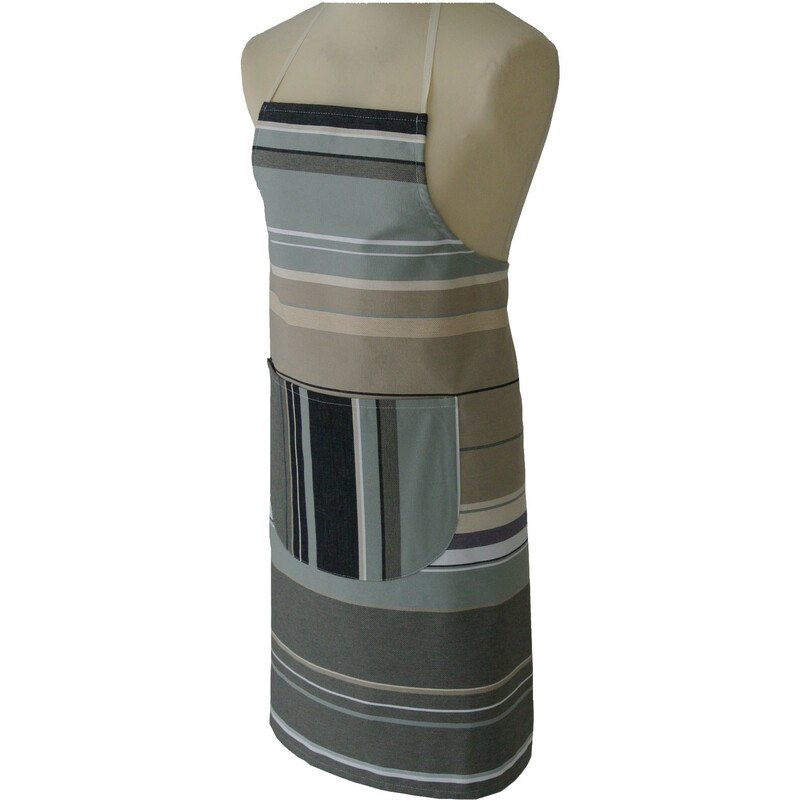 The kitchen aprons offered by Les Toiles du Soleil are of 100% cotton and 100% adjustable. 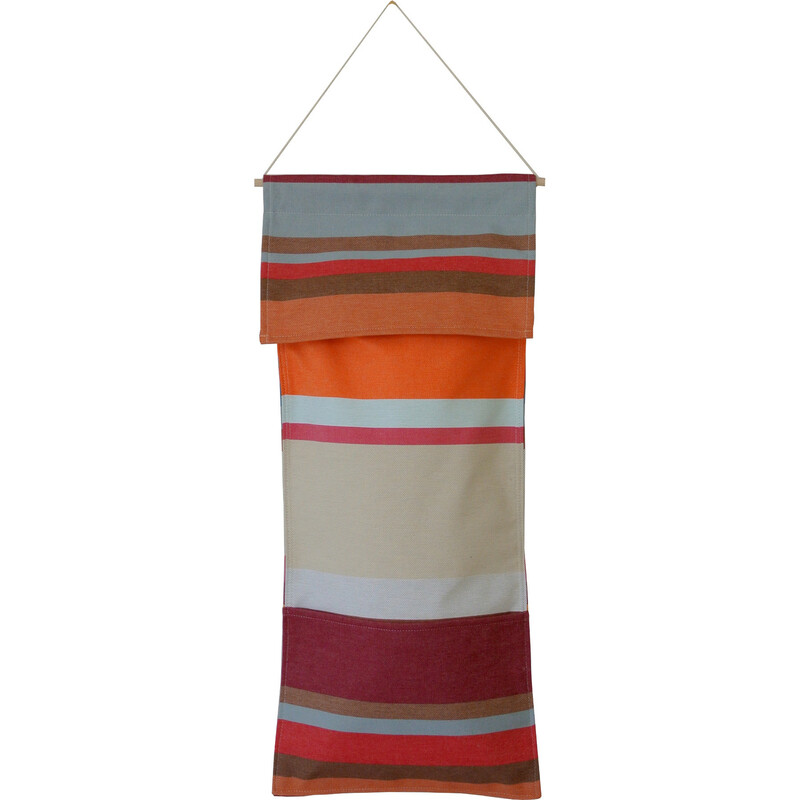 Available in a variety of multi-colored fabrics, striped and retro designs, the aprons of Les Toiles du Soleil light up your kitchen with the bright colors of the Catalan landscape. Now both men and women can buy online the finest decorative aprons and retro kitchen linen from one of the best French manufacturers in the most secure and enjoyable way. The exceptional quality and fine finish of all kitchen linen offered by Les Toiles du Soleil give an elegant touch to any kitchen. Anyone can now browse through the exclusive collections of quality French products, striped cotton fabrics and retro kitchen linen online and select the kitchen linen that best match their style, mix and match according to their preference and create the most refreshing of settings for their kitchen, their living room or garden while enjoying a delicious meal with friends. Kitchen Chic: Combine your multi-colored kitchen linen towels with our striped cotton aprons and jacquard fabrics and enjoy a truly fresh and sophisticated home deco! Add an extra dash of elegance to your kitchen with our colorful kitchen gloves and pot holders.